1- How do I place the order? First, you should navigate our website and you should add the products that you like to your cart by clicking on the "Add" button. If you want to add more than one product, you should increase or decrease the numbers in the right side of quantity box and then click to "Add" button. Once you have finished your shopping, click on the "Checkout" button on the top of left hand side menu. When you open the Cart page, Click on the "Checkout" button. When you open the Checkout page, you will enter your shipping and billing informations then, you will choose payment method. (At this time,We will not charge money. Before shipping, we will call you for permission to charge money in your account. We do not charge anything without your permission.) In 3rd Step, if you have messages or special request for order, you can write in "Shipping Note" area then you will click "Finish" button. You will receive email about your order and your estimated merchandise total (without shipping cost) in 15 minutes. 2- What is your shipping methods ? 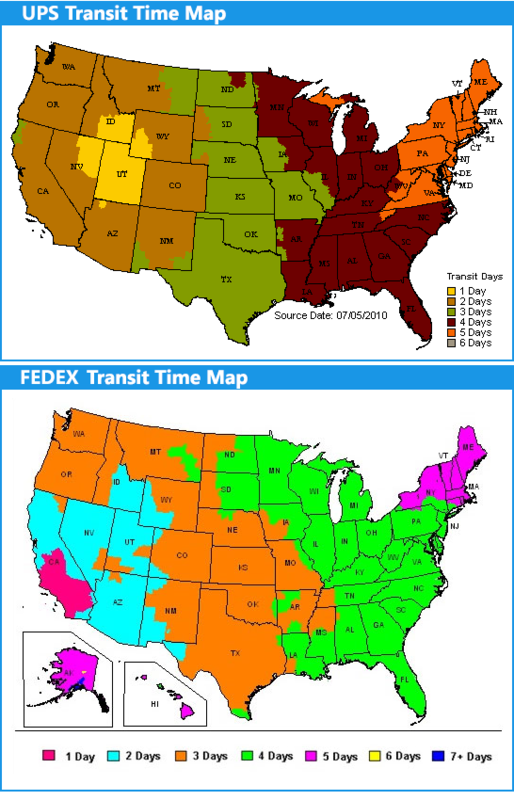 We are working with USPS , FEDEX , UPS and DHL Services for a better shipping. 3- How much is shipping? Shipping cost depends on the weight of the package, delivery time requested by the customer and distance. We cannot guarantee overnight delivery if order is received after 1:30 pm Pacific Time. 4- Do you ship internationally? Yes we do. Rates for international shipments depend on the country, delivery time requested by the customer, and weight of the package.Our customers are everywhere from England to New Zealand, from Japan to Brasil. Mostly, there is no any limitation. Our products reaches all countries, where the USPS, UPS, DHL, Fedex or any freight companies could reach. 5- Can I get a tracking number? Yes you can, on all domestic orders we can give tracking numbers by email or phone if it's requested by the customer. 6- Do you have a catalog that you can send me? Sorry, but our inventory changes so often that we are unable to provide paper catalogs. 7- It has been a few days and my order still says Processing, what does this mean? Sometimes we get backed up with orders and it can take a day or two to process them. We do not charge credit cards until merchandise ships so if we are unable to ship your order for any reason you will not be charged anything. 8- How long does it take to ship? Most orders will ship out in 24 hours. 9- Can I pick-up my order from your warehouse? Yes you can. You are always welcome to our warehouse to pick up your orders. 10- Where are your merchandises made in? Most of our merchandise are made in United States. But we also carry different merchandises from other countries. 11- What is your return policy? We do not offer any refund or exchange for damaged merchandises. It's the carrier company's responsibility. 12- How can i make the payment? You can make your payment with credit card,paypal, wire transfer or COD money order. As always, we encourage our customers to pay online. Buy4store.com uses SSL 128bit secured internet data. 13- How do I change my order? If your order hasn't been shipped simply email us at: sales@buy4store.com or give us a phone call and we will see what we can do. 14- Do you accept cash or money order? We do accept cash if the customer is purchasing in our warehouse. We do accept COD money order with cashier check. 15- How do I cancel my order? If your order hasn't been shipped, give us a phone call (1-310-715-6034), you can reach to manager and we will see what we can do. 16- How do I combine orders for shipping? You should write note in 3rd Step for each order (Ex. 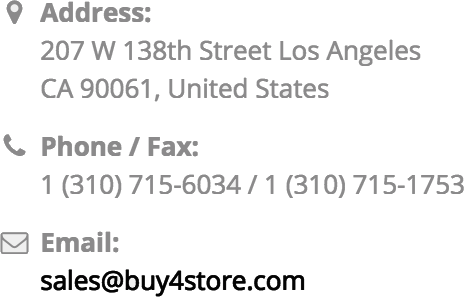 : Please Combine my order with 12345) or emaile us (sales@buy4store.com) or give us a phone call (1-310-715-6034) . 15- What is the estimated arrival time? You can check your location from the map.